Assembled caliper is a crystal of caliper manufactureing industry. To be a caliper, it needs about 40 kinds of component parts. For this reason, it is required of high technology and enthusiastic insight for assembling many component parts to act as an organism. So perfect unity and smooth operation are the key word for assembled caliper. WOO SHIN Industries has confidence that our assembled calipers have reached state-of-the-art technology. Additionally, we would not like to miss the chance to say that our caliper has the other strong points like its durability enduring severe pressure and optimized operation from brake system. 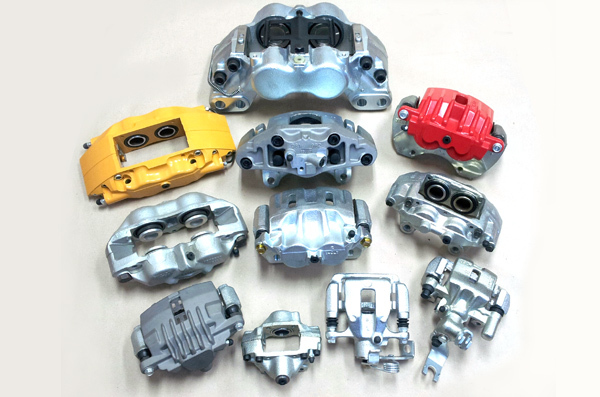 Woo Shin Industries Co.,Ltd is a leading QS and ISO certified manufacturer in Korea offering top-rated front brake caliper bracket with an experience of more than 2 decades. We develop and supply front brake caliper bracket to customers at reasonable prices. Contact our experts for more details.